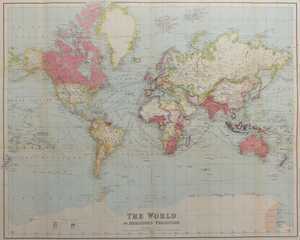 Welcome to Jonathan Potter's online gallery of antique maps, plans, charts and atlases. After over forty years trading from retail galleries in London and Bath we have moved to office space in central Bath. We welcome visitors, by appointment, and enquiries from established and new collectors, those considering old maps as gifts or for decoration, and offers of maps for sale. Over the coming months we shall be reducing prices on much of our stock in order to "wind-down" our trading activities. Please click the new "Special Offers" button on the right. Prices on “Special Offer” items include UK delivery (please select "collect from our gallery" at checkout.) Due to the extra packaging required, please enquire for overseas rates - nb. the more maps ordered - the less expensive the postage! Click here to download our Winter 2017 catalogue (PDF file 6.47Mb).